Do you have the right North Carolina REALTOR®? Buying a home is one of the largest purchases you will make in your lifetime so it is important you work with a professional that will guide you through the transaction and provide you with the right information to ensure a solid investment. As a REALTOR®, my focus in every transaction is to build a relationship of trust with my clients and provide expert advice to help them realize their goals. I believe that communication is the key to building and maintaining strong relationships and I will work hard every day to ensure your satisfaction. 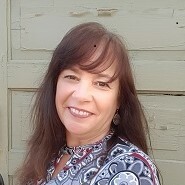 I specialize in working with buyers and sellers of Residential homes and land sales in the Statesville and Lake Norman NC area. The Lake Norman area is one of the fastest growing areas in the state and the small town of Troutman just to the north is just starting its growth spurt! The city of Statesville (known as the crossroads of NC because of its intersection of Highways 77 and 40) is also in a period of growth and the opportunity to purchase a home or land is abundant due to low interest rates and affordable prices. New Construction: Being married to a contractor for over 33 years and having built 3 personal residences, I have learned what it takes to build a new home from the ground up. We have built two homes here in Statesville NC and I am well aware of the local building process. Building a home is not an easy task and it can be very stressful for all involved. From selecting the right lot and house plan, to picking out all the materials and making color selections, you will need to be organized and informed of all your choices. I will help you work with a local builder on your home and be with you every step of the way to help guide you in your selections and to keep you on tract through the many stages of home building. I specialize in the Iredell County area of new home communities. Foreclosures and Short Sales: The Statesville NC area has seen it’s share of short sale transactions and foreclosures in the past and we still see them from time to time. I have helped numerous buyers purchase distressed properties through HUD, Fannie Mae, local banks and many other sources, each of whom have a different way of handling an offer. My SFR (Short Sale and Foreclosure Resource) Certification has helped me provide necessary guidance to buyers seeking these types of properties. For sellers facing Foreclosure, I have all the tools to help you make the hard decisions. Can you keep your home? Can you consider a short sale? Should I just walk away? All these choices vary depending upon your own unique situation and must be handled accordingly. There is no easy answer, but there may be a solution to help you move on with your life and your plans. I have helped many home sellers with a short sale and can help you sell your Statesville NC Home. For Sellers: It is not about listing your home for sale, it is about getting your home SOLD. I offer a strong marketing plan that includes Internet marketing strategies, media distribution, Realtor® resources and pinpoint pricing strategies. My strong internet presence and positioning enables me to attract more buyers to your home to help get it sold in less time. It is a prove fact that 90% of buyers today begin their search online for homes and with Listing syndication, your home will show up on all the top sites like Realtor.com, Trulia.com, Zillow.com and many more. My digital marketing strategy will give your home the maximum exposure with virtual tours, online magazines, call capture and digital flyers. Each home will have professional photos, custom home brochures, large visible yard sign, secure lockbox and more. I would love to sit down and show your my marketing plan. For Buyers: My job is to get you in the best home for your money with the least amount of stress. I provide all my buyers with a thorough initial consultation to learn about you and what specifically you are looking for in a home. I have a customized “Homebuyer Toolkit” that will help you keep track of homes we will look at and guide you through the entire home buying process. I am there, every step of the way to help you find the perfect home in the Statesville NC area. Whether you are searching for Waterfront Homes for Sale on Lake Norman or Lake Lookout, Golf Communities such as the Statesville Country Club, Larkin, The Pointe or River Oaks I can help you find the one that fits your vision. Maybe a Historic Home in the Statesville Historic District or Mooresville Historic district is more your style, I know what to look for. I will get you set up on a personalized website where you will receive all the new homes that meet your criteria as soon as they hit the market. Your personal site will help you stay organized and track the price reductions or status changes on the homes you select as your favorites. It is my goal to stay educated on matters that affect my buyers and sellers so I make sure to take time every day to study the national and local real estate market and I attend as many seminars and continuing education classes that I can so that I can pass that information along to my buyers and sellers. I am also committed to my community through my volunteer work with Habitat for Humanity of Iredell County and the Greater Statesville Chamber of Commerce. Meet Sonya Leonard: I have been married since 1986 years to my wonderful husband Mike. We have 4 grown children and an ever expanding family of daughter-in-laws, son-in-law and grandchildren. I was born in and grew up mostly in Orlando Florida and then moved to New Hampshire in my teens. That is where I stayed for over 20 years while we raised our family but then decided the we needed a change of scenery. We loved the NC area and after researching the state, landed in Statesville NC in 1997 with 3 of our children. My husband continued his work in the construction industry while I landed in the mortgage Industry for 7 years. The combination of home construction and mortgage background eventually led me to Real Estate where I have found my passion. It was a natural fit for me and with a Bachelors Degree in Marketing, I am able to utilize my skills to benefit both my buyers and my sellers. I love what I do (even in these tough times) and I make it my daily duty to give all I can for my clients. I am also very active in my community and my local Realtors Association. I have served on the Housing Opportunity Foundation (the charitable arm of the Charlotte Regional Realtors Association) and the Education Advisory Group (to help keep Realtors educated and informed of industry changes). I also served on the committee for the Realtors Care Day Event held annually in our area and am active in the Local Chamber of Commerce and Habitat for Humanity. Giving back is an important part to my commitment in the area in which I live. The relationship I have with my clients is professional, honest and fun! I promise to return your emails and phone calls and keep you well informed all through the process. I am proud to say that my clients always remain on my contact list so that they can stay up to date on the real estate market! If you are searching for a Realtor® that is working for you… search no further. Call me today at 704-450-0588 or email me at Sonya@sonyaleonardhomes.com. I look forward to meeting you! “Excellent Knowledge and Service” Paul and Sandra B. “Sonya gave good feedback on the house we were selling which provided a quick sale for a great price in a struggling market” Steve and Tina F.
“I like how Sonya keeps me updated on how sales are going in our Community” Tina Z. “One thing we were really impressed with was Sonya’s honesty and integrity. 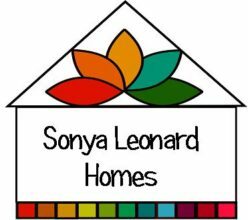 Never once did she try to sway us towards more expensive homes just to make more money” Steve and Tina F.
“Sonya has become “Momma Leonard” and it feels like she has been part of the family forever. She went above and beyond to make sure I had all the necessary paperwork, that I understood everything and that things went smoothly. I hear from friends that is not always the case with other realtors. My realtor is the best and I would recommend her to anyone!” Walida C.
“Our Realtor was the most honest, encouraging and straight forward person we have met and not afraid to go the extra mile to help. I consider her my friend” Barnabas and Anna J. “Sonya is the ONLY Realtor and person I have EVER done business with that did not require my follow up to make sure you did your job. You went out of your way and took additional, unnecessary steps to help me with house appointments prior to closing considering I lived an hour commute from Statesville. You answered every question promptly and were NEVER dishonest in order to close the deal. On top of that you and your husband willingly met me at Sears prepared to help me bring home a grill!” Rachelle C.
“I’ve moved around more than I’d like to admit. In doing so, I have both interviewed and worked with a fair number of realtors on buy and sell side transactions. Each of them left me feeling they could and should have done something that they did not. That was not the experience I had with Sonya. Sonya’s diverse perspective gained through her background in many areas of the home financing/building/buying process was very refreshing. I thoroughly enjoyed working with Sonya and found her skill set to be unique on many fronts. I would gladly recommend Sonya to anyone interested in a real estate transaction. Moreover, based on my experiences…I would encourage you to contact her. Top notch all the way!” Jamie C.